This house was built in 1870 and was inhabited by Liodis Sifis in 1929 who raised his family together with Panigiraki Maria. Liodis Sifis was born in 1898 and died in 1991. He is the son of Manousos Liodis and one of the eleven children of his family. His main job was a shepherd and a very good cheesemaker. The pastures were in the White Mountains and his Koumos (known as «Liodosifi’s koumos”) was in St. Paul in Gournes. 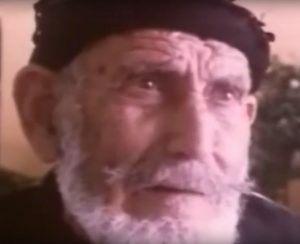 In 1919 to 1922 he took part in the Smyrni war, in which he was injured in the chest in Eski Sheikh, but he managed to recover, and so he returned to war and during the retreat helped Gavrilakis Alexandros from Samona to return in Crete and this way saved his life. As a result, they became good friends. Later he married Maria Panigirakis, and they had three boys and two girls. During the Second World War, he helped allied officers escape by giving food and shelter, who later on, during an event that took place in the cemetery for the allies (after the war), recognized him and honored him with a presentation of weapons. respected person to everyone. His life since passed calmly trying to survive and raise his family. He was a dear man in the whole village and the region of Apokoronas, and we will always be remembered with love.